This will be the first year since my Husband and I have been together where we have our own place. With that in mind over the past 5 years we may have neglected to collect holiday decorations over those years. So when we moved we really had nothing to decorate the house with. This is why I decided to make all our decorations this year and then after christmas we can go do the whole 50-70% off christmas decoration shopping after the holiday season is over for a few things that I can’t make. 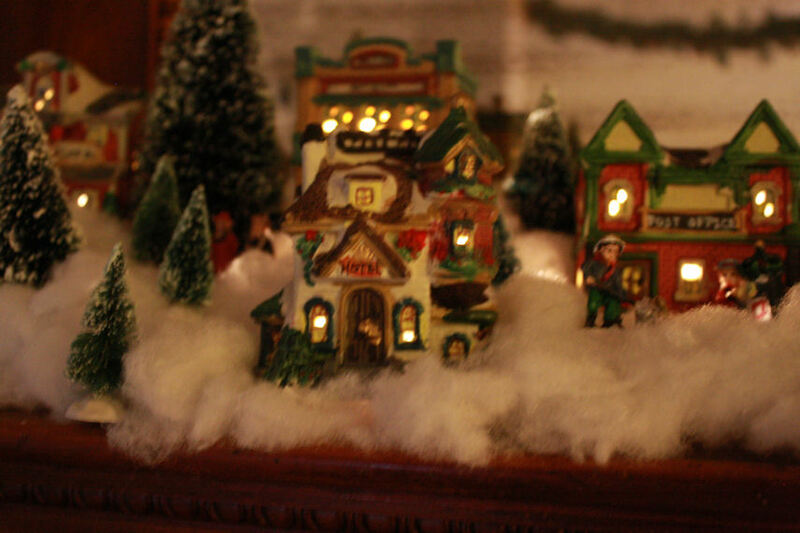 As much fun and we are having making our own decorations for the house and actually prefer the homemade ones over store-bought decorations, there has always been one thing that I have always wanted that I can’t make and that’s a christmas village. As we all know those Christmas villages don’t come cheap so I put it on the back burner and added it to my Christmas list. 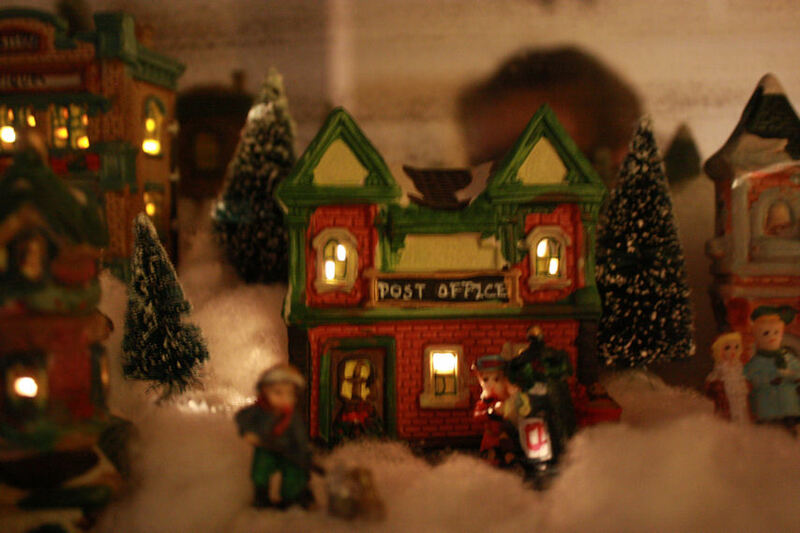 The other day my husband had gone to the dollar store and to Walmart for me and when he came home to my surprise was a small-scale christmas village. It was perfect. He bought the whole village including the trees and people for $15.00. We decided a good place for it would be on our fireplace mantel. Seeing how each house was only a dollar there was not very much to it. I had turned over one of the houses as we were putting the village together and realized there was a nice size hole in the bottom. I asked Jason if we had any lights that would fit inside. When we couldn’t find anything to stick inside to light up the houses Jason decided to rewire some cheap christmas lights that we had picked up earlier and I would like to share our final result. I have to say that for my little family this was the perfect start to a great holiday season. I wish everyone a safe and joyous Christmas Season and God Bless! 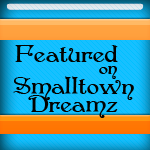 I am a small town girl and my beautiful family and I are now living in the town i grew up in. I am a stay at home mother and a full time student. 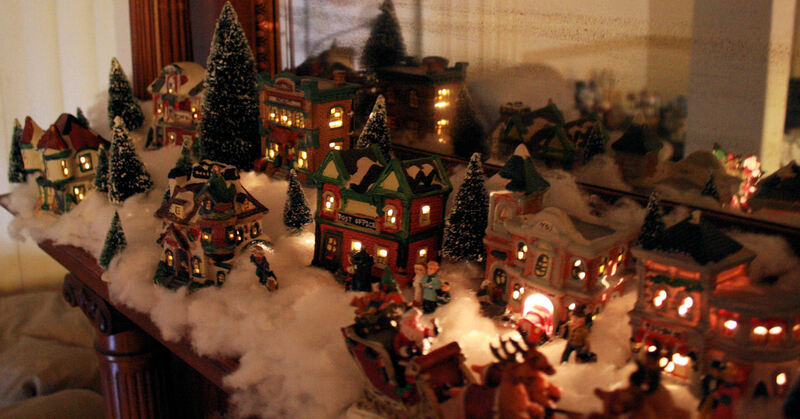 Posted on December 8, 2011, in Family and tagged christmas, Christmas Village, decorations, holidays. Bookmark the permalink. 5 Comments. 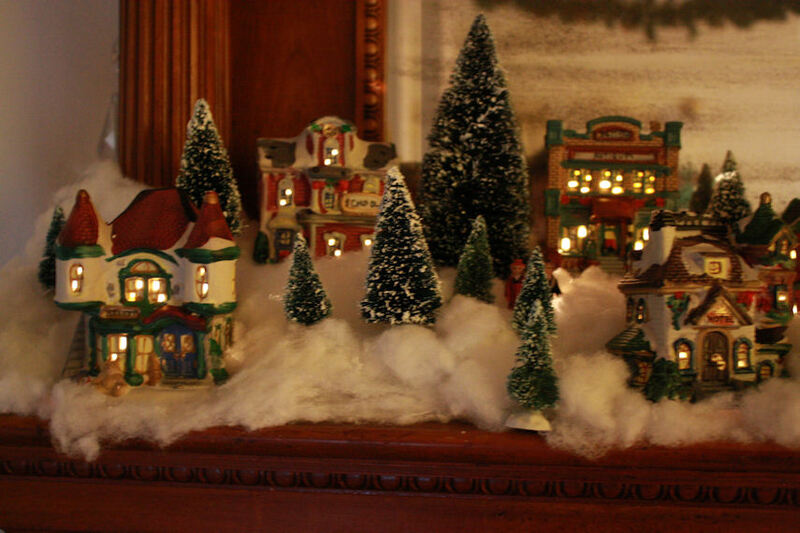 Looks absolutely adorable and fits perfectly on the mantel. Such a great find and a very memorial way to start your first real Christmas together. I guess I should have said “memorable” instead of memorial. Thank You Gram. We like it too. Did you design the comment this well with the default website tools? Your blog is incredible. Thank you! No most of the layout is from the template im using. Have a great holiday season!